Evolutionists can claim otherwise, but it is a fact that God created this world and this universe in six literal days, and then rested on the seventh day (Gen. 2:1-2). Then, at some later point, God blessed the seventh day and set it apart from the other days (Gen. 2:3). “But Jon,” you might be saying, “didn’t God make the seventh day holy right then on the seventh day? After all, we read of it happening right there in the beginning of Genesis.” This article is going to explore whether that is true, but for now let’s talk a little more about that seventh day. The seventh day later became known as “the Sabbath Day.” “Sabbath” is transliterated from the Hebrew word shabbath, which means “to rest from labor.” The Greek word is sabbaton, and joins the English word “Sabbath” as a transliteration of the Hebrew shabbath. That’s why it now means something slightly different from what it originally meant in Hebrew. Today, “Sabbath” means “the day of rest,” but it originally meant “to rest from labor,” with no reference to a day. A lot of questions come up in religious circles about the Sabbath Day, especially if you are having a religious discussion with someone from the religious sect known as the Seventh-Day Adventists. The first question which usually arises has to do with determining which day of the week was the Sabbath Day. Was it Saturday or Sunday? This question is the simplest one to answer. In the Old Testament, the Sabbath was a day of rest after six days of work (Gen. 2:1-3; Ex. 20:8-11). The Jews began their days at sunset rather than sunrise, so the seventh day began at sunset on the day we call Friday and ended at sunset on the day we call Saturday. Therefore, “the Sabbath” generally refers to Saturday in the Bible…with one major exception. This exception has to do with other questions about the Sabbath which are generally raised. 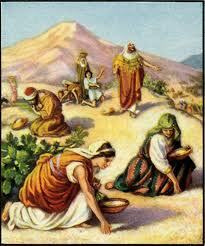 For example, we know that in the Old Testament the Jews were required to observe the Sabbath Day. However, are Christians who live under the New Testament (Heb. 8:7-13; cf. Jer. 31:31-34) supposed to keep the Sabbath? If that’s the case, then does “the Sabbath” still take place on Saturdays…or is it now on Sundays since that is the day when Christians go to church? What Does The Old Testament Say About The Sabbath? To find a biblical answer to these questions, let’s first consider what the Old Testament says about the Sabbath. We’ve seen already the first mention of the Sabbath Day in the Old Testament (Gen. 2:1-3), but interestingly enough there is no further mention of it from Genesis 2:4 all the way up to Exodus 15. Think about what this means for a second. We never read of the many righteous men throughout Genesis who pleased God (Adam, Abel, Enoch, Lot, Noah Melchizedek, Abraham, Jacob, Isaac, Joseph, etc.) observing the Sabbath Day as holy or a day of rest. But what about Genesis 2:3, where it says that God blessed the seventh day and made it holy because he rested on that day? Since we read about God blessing the seventh day right when we read about the creation, doesn’t that mean that Adam, Abel, Noah, Abraham, and all the others in Genesis must have observed it just like Moses and the Jews did? Not necessarily. Go to Exodus 16:22-30, the first place since Genesis 2:1-3 where we read of the seventh day as being the Sabbath, a day of rest. This passage tells us about the instructions God gave the nation of Israel concerning how to collect the manna that he rained down on them from heaven for their food while in the wilderness, shortly after they were delivered from Egyptian slavery and before they got to Mount Sinai where they received the Law of Moses. Did you notice that they had to be specifically told (twice) not to gather the manna on the seventh day (Ex. 16:23, 29)? However, they went out on the seventh day prepared to gather the manna anyway. What does that tell us? They weren’t used to taking the seventh day off from work. Why? Nehemiah tells us why when he wrote that the Lord “made known” to Israel the holy Sabbath at Mount Sinai (Neh. 9:13-14). 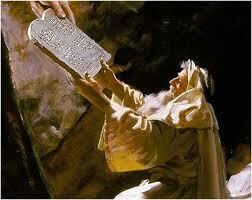 Since God made it known to them at Mount Sinai, that means they did not know about it previously. That is why they had to be told twice not to work gathering manna on the seventh day, because putting the seventh day aside as a day of rest was something unknown to them. 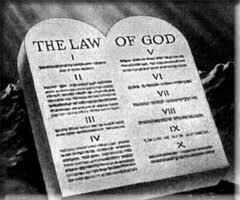 There were other reasons God commanded the Sabbath Day to be holy in the Law of Moses. It was a weekly reminder of how he had delivered Israel from Egyptian slavery (Deut. 5:15). It was also a sign between him and Israel to show that they were his special people (Ex. 31:13-17). This brings to mind the interesting fact that God never commanded Gentiles (non-Jews) to observe the Sabbath. All the commands regarding the Sabbath in the Old Testament were directed towards Israel and no other nation. The only exception was “the stranger who is within your gates” (Ex. 20:10), so that the Israelites would not be influenced by their visitor Gentiles to disobey God’s law concerning the Sabbath (cf. Neh. 13:15-21). Other than that, it is noteworthy that God intended the Sabbath to be something special only between him and Israel while the Law of Moses was still in effect (Ex. 31:13, 16-17; Ezek. 20:12, 20).